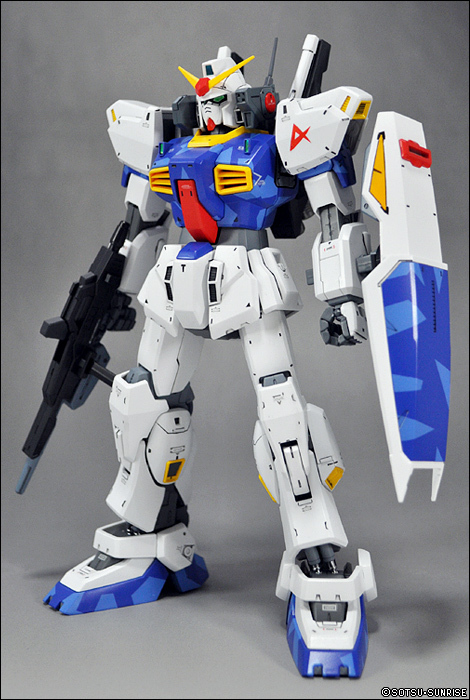 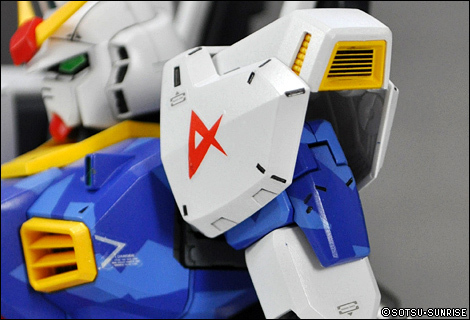 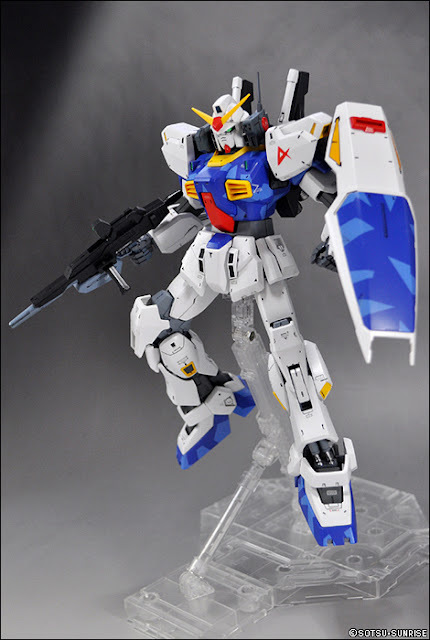 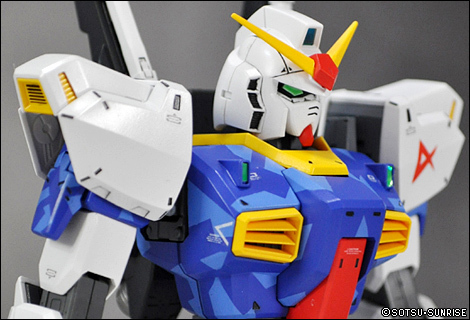 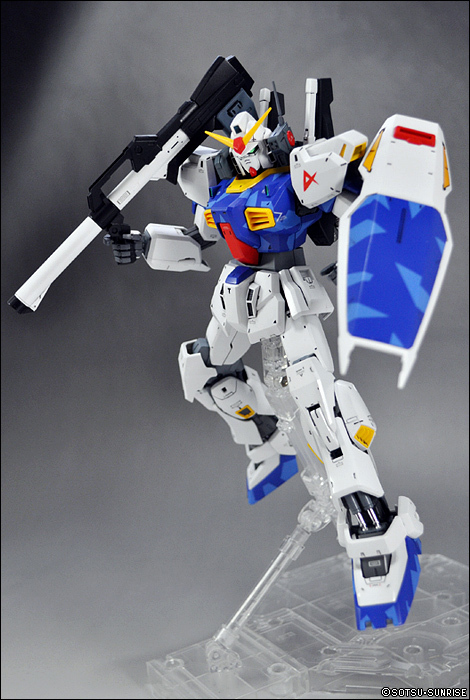 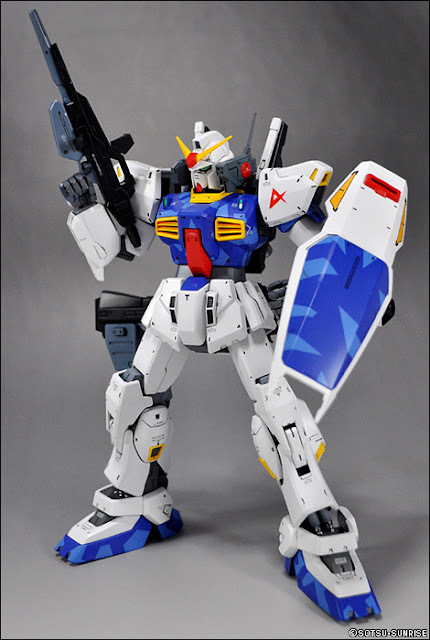 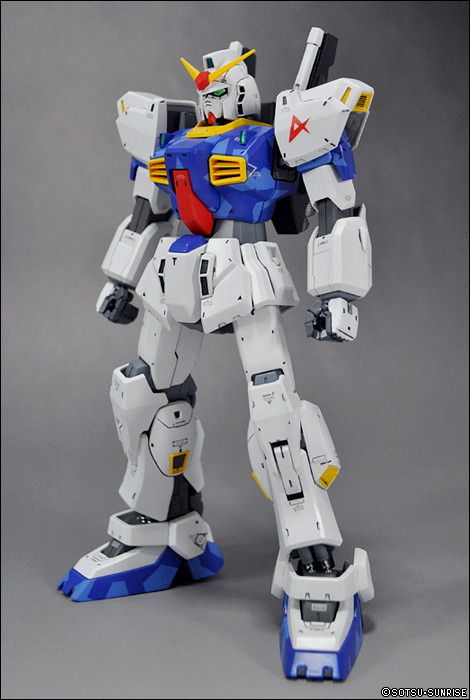 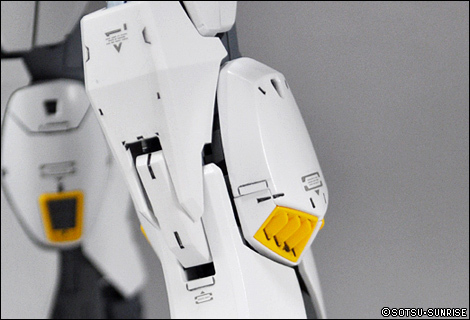 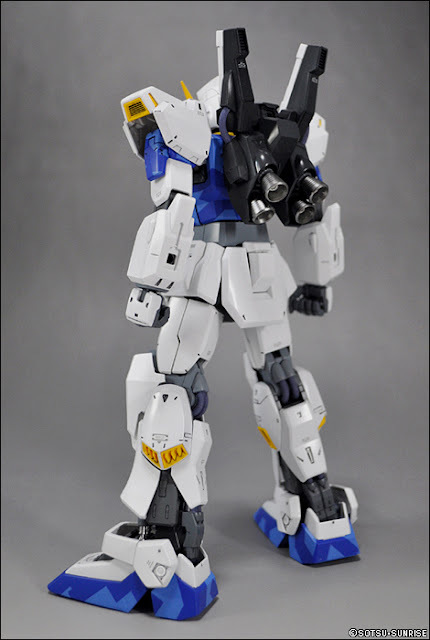 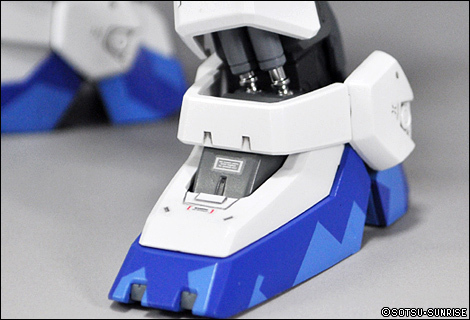 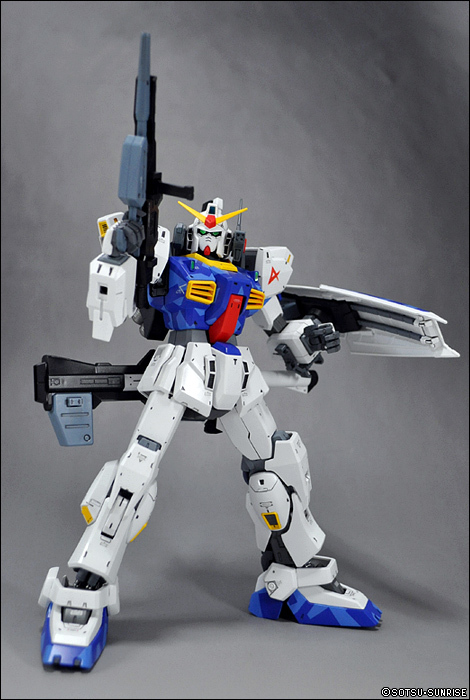 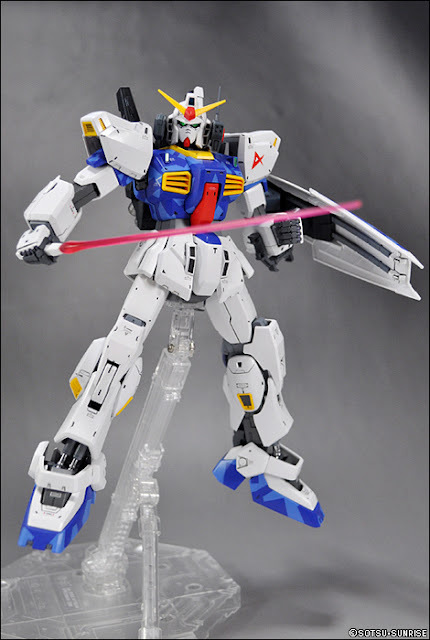 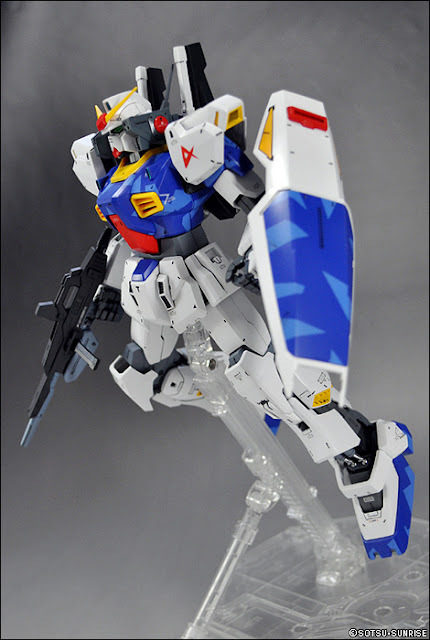 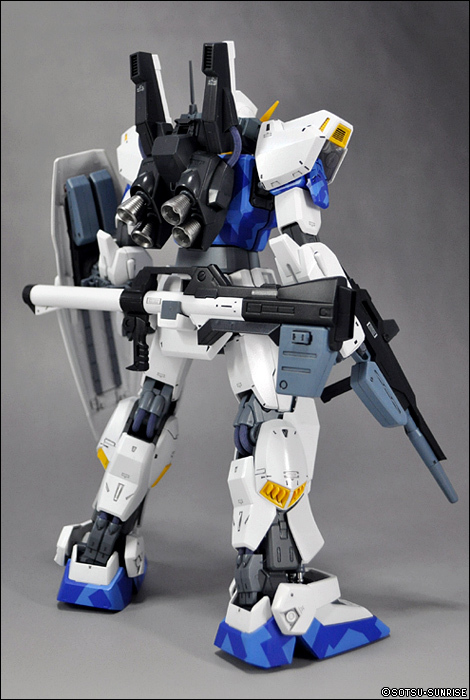 the modeler used MG 1/100 Gundam MK II AEUG ver. 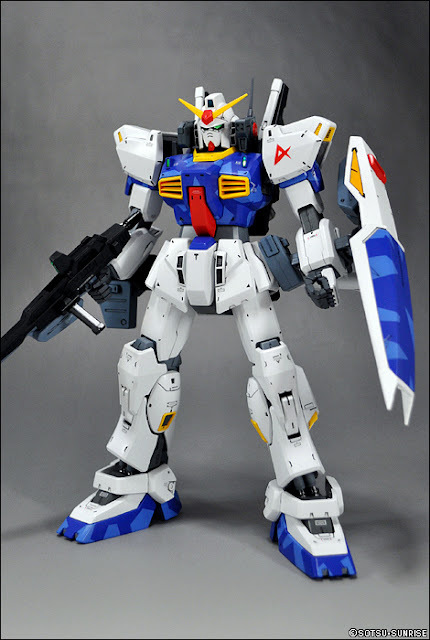 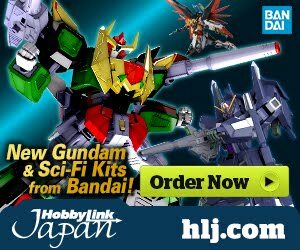 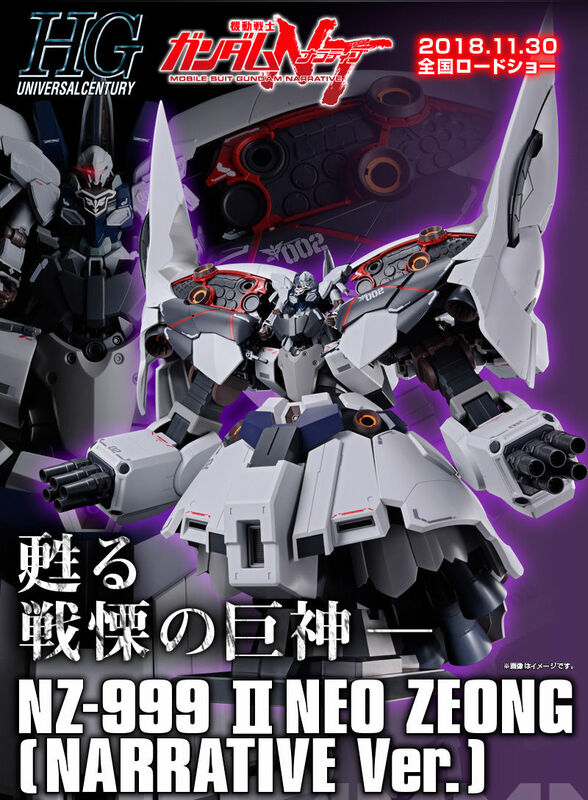 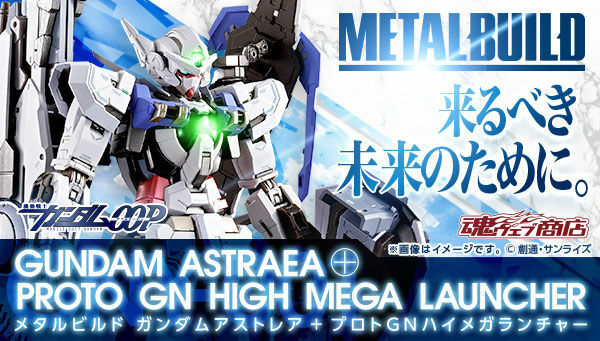 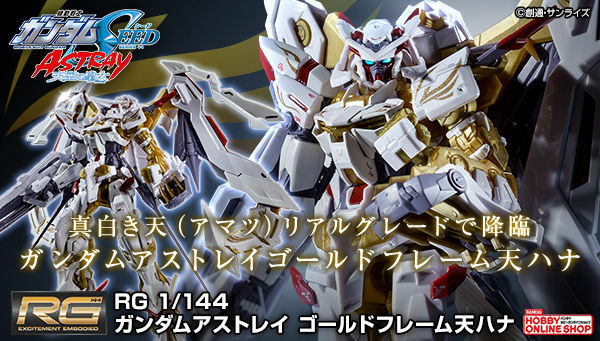 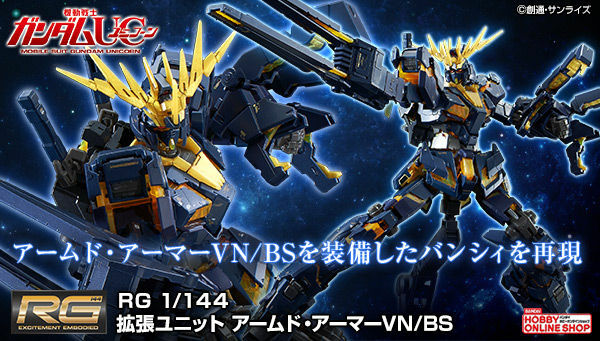 2.0 and MG 1/100 Super Gundam to build this kit. 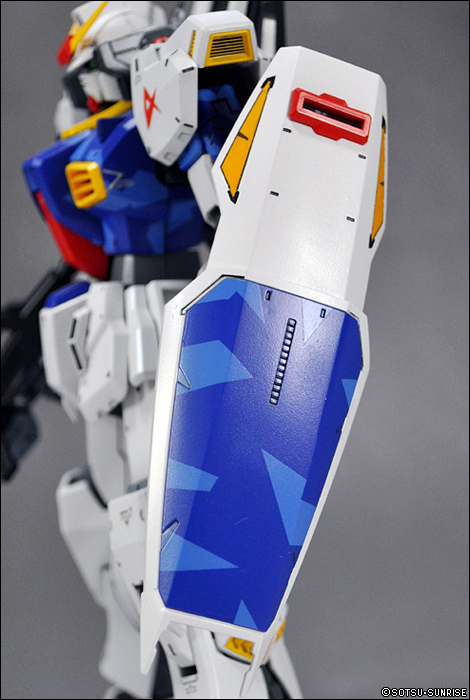 Bandai Hobby also used masking technique to produce nice color separation on the camouflage effect on the blue armor parts of the kit.